You'll be £14.99 closer to your next £10.00 credit when you purchase Born of the Desert. What's this? 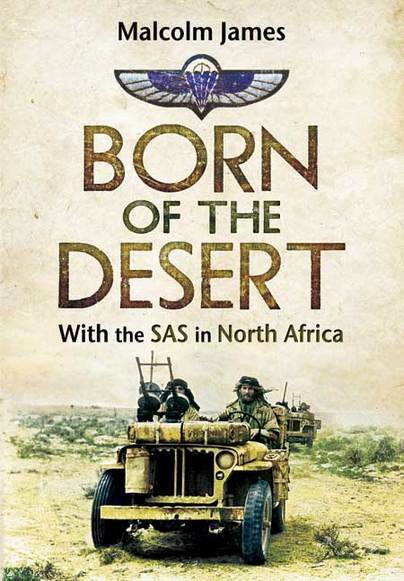 Born of the Desert is a classic account of the early years of the SAS. The Special Air Service was formed in 1941 and quickly earned a reputation for stealth, daring and audacity in the Western Desert Campaign. This elite force utilised the endless expanse of the desert to carry out surprise attacks and hit and run raids behind the Afrika Korps' lines, sowing confusion, fear and consternation. Malcolm James served as Medical Officer with the SAS throughout 1942 and 1943, and Born of the Desert is his atmospheric account of his life in the North African desert, the bitter fighting against Italian and German targets and the forging of a remarkable elite unit. James captures the excitement of this dramatic mode of warfare and brings to life the deadly beauty of the desert, the harsh environment and the strong bonds of comradeship and interdependence which resulted. Born of the Desert was written soon after the events depicted and has an immediacy which places it above other Second World War memoirs. The original text has now been augmented by supplementary notes by David List, and appendices on SAS casualties and awards by David Buxton. This is an essential book for those interested in the formation of the SAS and their role in the desert... A classic and atmospheric account.